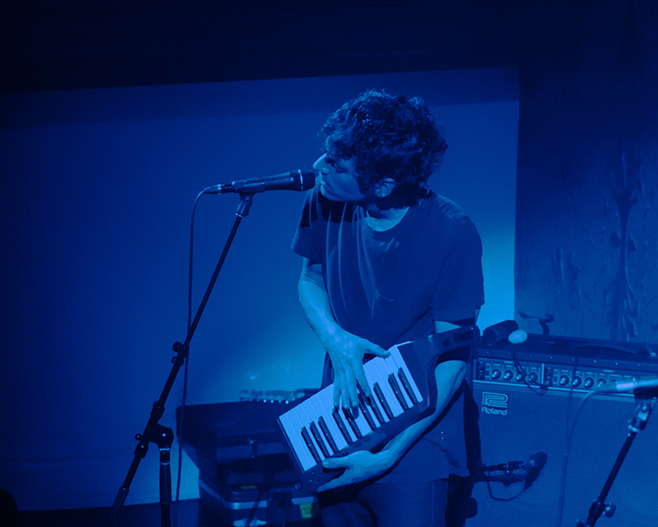 Suuns have always been a band that evolves. Within their own dark, noisy, deeply progressive sound, they still find a way to be original with each album. The early days Suuns, with tracks like “Black Hills,” were more, well consumer friendly, which undoubtedly put them on the map and “Up Past The Nursery,” admittedly, is still one of my favourite tracks. Since then Suuns got more serious with Hold/Still. Their latest album, Felt, released in March on Secretly Canadian, is an exploration into “hypnotic future-pop percolations” and, in their own words, moves into “more optimistic ambience.” Compare to Hold/Still – for sure. Compare to Images Du Futur, maybe not so much. But I stand by the progressive evolution, Felt is a work of art, though likely not for an average pop aficionado. This is after all, a kind of rock music. 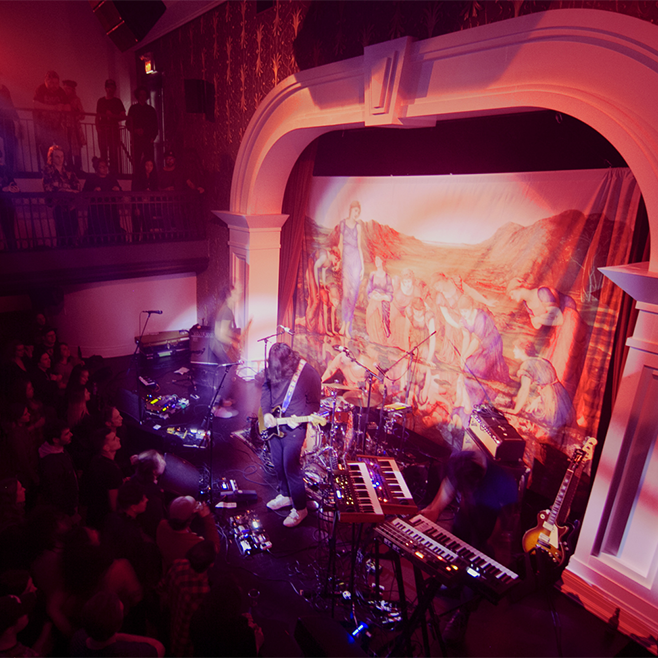 On March 12th Suuns returned to Toronto, this time playing an album release show at The Great Hall. The newly renovated classic theatre-style venue, with it’s stage archway, created an extra dramatic environment. Once the opening band wrapped up, Suuns’ intimate crowd was patiently waiting for the stage crew to win a battle with a backdrop. The wait was worth it: a religious baroque painting hang loose in the red and green light, setting the mood for something new and different. 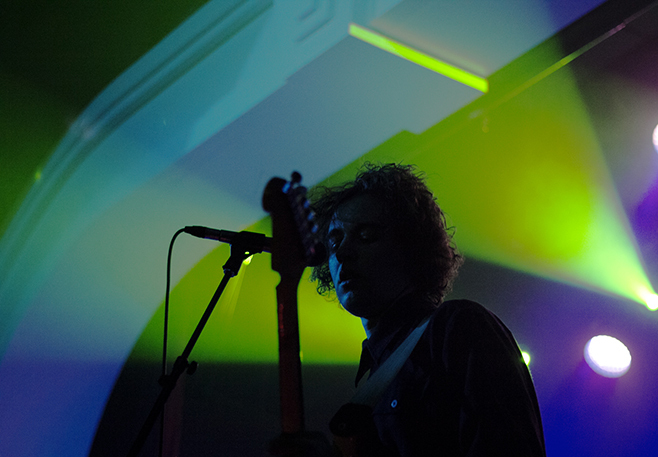 The lights dimmed to harsh colorful accents as Ben Shemie took the mic for “Look No Further,” first song on Felt. This song in particular is a fusion of Suuns’ sounds over the years but with an Arabic influence. It’s the kind of track that will grow on you and will demand to be listened a couple times in a row. 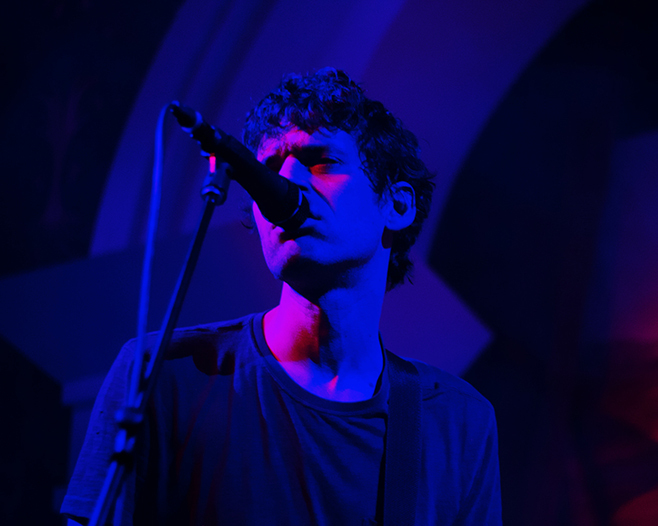 As Shemie’s muffled vocals begun to pour out the Suuns signature sonic sound enveloped the room, threatening eardrums of those standing close to the stage. Note to self: really gotta learn to stay further away from the speakers. The room went pitch black between every song, as if closing the chapter and flipping the page. While Joe Yarmus continued to shred the guitar Shemie played through Felt with an occasional intermission to reflect on the past with tracks from Hold/Still and Images Du Futur. Like most weekday shows, however, this too was an early one but one deffinitly worth leaving the comfort of a home for. Till next time!